All throughout God’s Word He teaches us that satan is alive and works in Christian lives, trying to do evil. The Word also teaches us to watch out for satan and God gives us weapons to use for satan’s defeat. The first thing we must realize is that satan exists. His success depends on his secrecy and the way he rules mankind, practically unnoticed, is a fascinating mystery. Scriptures that teach us about satan as being: An Angel of Light (2 Cor. 11:14); An Adversary (1 Peter 5:8); A Tempter (1 Thess. 3:5); A Deceiver (2 Cor. 11:3); A Hinderer (1 Thess. 2:18); A Beast (Rev. 19:19); A Restless Lion (1 Peter 5:8); The god of this world (2 Cor 4:4); Prince of the power of the air (Eph. 2:2). We have an enemy who is all of these things and God has warned us about him. In order for us to bring honor to Jesus Christ and what He did for us by dying on the cross it is our duty as Christians to learn to defeat our enemy. God has given us weapons so that we may live lives that are victorious and bring Him glory. In our lives Jesus Christ is our personal savior who gives us salvation and satan is our personal devil who is trying to defeat us and therefore we must pay very close attention to satan and his work in our lives so that we can have victory against him. In other words I am asking you to concentrate on two people in your life: The Holy Spirit and the unholy spirit. See both of them as: 1. Present with you; 2. Giving you personal attention; 3. Possessed of fantastic powers in the spirit – world; 4: Ready to exercise whatever dominion you will permit. Yes, you have a free will. You are responsible for which spirit exercises the most influence over your thoughts and actions. That’s what makes this a subtle business. If the unholy spirit can get you to do his will, you do so of your own free choice. Subsequently you are judged for it, because your choice is deliberate. If you’re honest with yourself, you’ll agree you are nowhere near what you ought to be in Christ. Don’t you want to be a better Christian than you are right now? Sure. Without realizing it, your personal adversary, the devil, is directing your life. His subtle wisdom, his ingenious devices, makes it easy for him to manipulate you. An outsider maneuvers you in such a way you neither suspect it or notice it. Everything you do and say appears to be your own idea, but it isn’t. Most Christians can look back a year to see little or no change. They are still the same persons. Their personalities are no sweeter, the dedication of their talents is stabilized, their pocket books just as tight and their occupation with the world is as solidly fixed. There’s no increase in surrender, devotion or service. They go year after year without much change. Do Christians want this? No. Yet it happens. Why? If you haven’t begun to suspect a mighty adversary is dedicated to keep us from living Christ, we will when we see how he works. Notice “every thought.” Thinking is a contest. If you don’t believe that, try keeping your mind on Jesus for 5 minutes solid. You’ll find a state of war exists – a thought war. Evil strongholds are maintained for the purpose of clouding our minds. Spiritual forces are arrayed to keep us from occupying with Christ. Dignitaries make it their business to keep us from setting our “affections on things above” (Col. 3:1). The resources of spiritual wickedness are organized to make us forget Jesus most of the day. So again, try “bringing into captivity every thought unto the obedience of Christ,” and see if it doesn’t amount to a military campaign! See the battlefield? It’s the thought-life of the Christian. Spiritual war is real. Look at the equipment the Apostle cites as Christian armor. Observe that it is mental preparation. If satan’s lordship over humanity is maintained by his control of our thought life, Christian victory surely rests in the area of the disciplined mind. “Let this mind be in you, which was also in Christ Jesus….” (Phi. 2:5) is thought-war strategy. Thus the mind of man is the theatre of satanic operation. The extent to which he can influence the thoughts of people, is the extent to which he can control them. In fact, he must work with the human mind for he has nothing else. That may surprise you. You say, “Doesn’t he attach men’s bodies?” Ah, but only as the author of psychosomatic disorders. Doctors quickly allow that 65%-85% of the cases coming to them show no pathology (tissue disease). The huge bulk of body afflictions originate in the human mind, not in the members. Clearly the center of our warfare is our mind. He blinds the minds of the unsaved and leads them to substitute gods of their own manufacturing in place of the True god. He leads Christians to occupy with physical things to the neglect of the Lord Jesus. Occupation with this world renders them useless for Gospel-obedience, forfeits their future rewards and blinds them to the swift approach of the day of accounting. Doubt that he has such power? Then ask yourself? Do I come anywhere near being what I ought to be for Christ? How far am I from bringing every thought into captivity for Christ? 2. Does making a living and providing for my family concern me more than “Laying up treasure in heaven?” 3. Is what I do and say carefully weighed in the light of the Judgment Seat of Christ? 4. Do I consciously work at preparing myself to live with a Holy God? 5. What have I deliberately done today to make myself more like Christ? When satan is allowed to feed suggestions into the Christian’s thought life, spiritual growth is thwarted. Therefore, it is the plan of God for us to deal with the devil. Salvation does not include automatic victory over satan. The glad news that “Greather is HE that is in you than he that is in the world,” makes victory possible, but there is nothing automatic about it, nothing which makes us immune to satanic attack. In fact, the New Testament teaches the opposite, that we are highly vulnerable. If we had any immunity our Lord would not have cautioned “Watch and pray”. Neither would the Apostle have bothered to list “The weapons of our warfare.” Clearly we are in for a fight, a vicious fight for the usefulness of our lives. We are not guaranteed victory, we are guaranteed a fight. Is it not Bible-mockery to read of our weapons and then fail to use them? Indeed. The Christian who fails to take up arms against satan is already defeated. The lack of resistance invites satanic control. Satan has a perfect disguise that allows him to acquire almost total dominion of a Christian’s life, yet the victim doesn’t suspect the identity of his evil master. The satanically led Christian doesn’t give one thought to satan. Yet, all the while the god of unrighteousness is ordering the steps of his life. You wouldn’t think such a thing could happen to a Christian, but when you learn the nature of his disguise, you might blush. It could explain why your life in Christ isn’t all you would like it to be. His disguise? Hang on for the surprise. The mask is…….self. What could be more subtle than satanic suggestions which arrive in your mind as your own ideas? Perhaps it has never occurred to you to look beyond your behavior pattern to see if someone has a hand in it besides yourself. There is someone. Just as our Lord Jesus turned to Peter and said, “Get thee behind me, Satan” – just as He stood in the boat and rebuked the one behind the storm – so must you learn to see the unholy spirit at work in your life. Behind most of our thoughts and actions is the evil one. Because of his disguise, we don’t suspect his presence. It never occurs to us that someone else has the power to engineer our behavior without once violating our free will. Satan is a self-centered man. God said so. Satan got into trouble in the first place for saying, “I will be like the Most High”. He lives for himself. He is completely selfish. 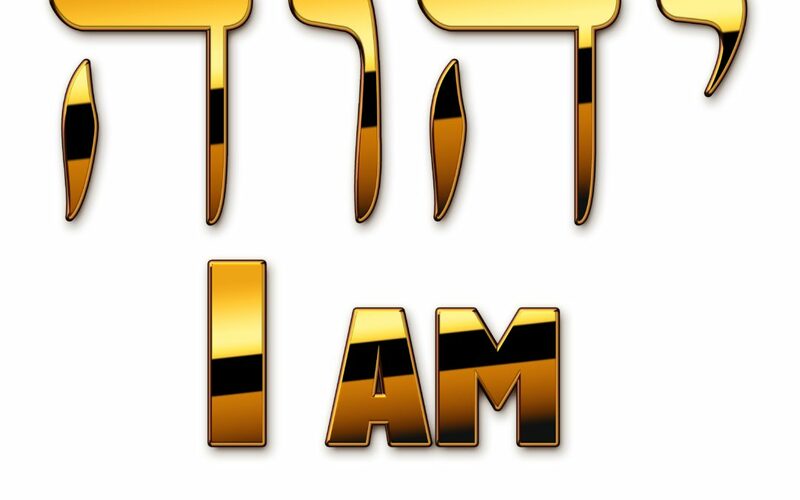 Look at the “I Will’s” in Isaiah 14:13-14: “I will ascend into heaven; I will exalt my throne; I will sit also upon the mount; I will ascent above the heights; I will be like the Most High”. Enamored by his own beauty, wisdom and power, satan was sold on himself. There it was, the spirit of satan. Full of self-will, self-exaltation, self-satisfaction. Wherever you find it, the spirit of self is the spirit of satan! All satan has to do is deceive the Christian into living for himself and he frustrates God’s ambitions. Satan’s name is not mentioned. There’s no hint of serving satan in all this. Just self. This is what hurts God. He is painfully wounded when one of His children is led off like this. If the devil can keep Christians out of the Book, from prayer, from taking note of their own growth in Christlikeness, faithfulness in investing their time and money, he accomplishes his purpose. He rubs his hands with glee. When a Christian lives from himself, satan jumps with ecstatic joy. He has hit God were it hurts most. It’s easy for satan to do this as long as he can work under the disguise of self. What Christian is about to equate self with satan? Yet satan can plant all sorts of things in the Christian’s mind and they appear as one’s own ideas. He can get Christians to covet, boast, gossip, judge and condemn others; lust, waste their time, and all the while they feel it is their own doing. Never once do they suspect anyone is behind the mask of self. They just wish they were better Christians. Sadly they admit they fall far short of what they ought to be. Most know about the Holy Spirit and Christ’s indwelling. They can’t explain why they don’t live for Jesus more than they do. How easily God’s people are defeated. No wonder the Bible is full of warnings and cautions. Sneaky Suggestions: When an idea arrives in your mind, what is there to make you suspect it is anyone’s but your own? Until one knows about Satan’s access to our minds and his method for planting suggestions, who suspects anyone but himself? But here’s an example of just how sneaky he is: You plan to go visiting for the church. You’ve already signed up. But the thought strikes, “I’m too tired tonight. I think I’d better stay home. I’ll go next week.” That sounds like your own judgment. But it isn’t. The one who lives to render your life useless sent that notion to your mind. You’re in a conversation. Some things coming from your lips are self-centered. Count the “I’s”. “I think, I always, If I were you, If you ask me, take me for example, etc.” Watch yourself as others are speaking. How do you focus? Really listening, or thinking about yourself and what you’re going to say next? Let a name come up. Is it someone with whom you disagree or who has hurt you? Watch the feelings rise. What words are perched on your lips? How do you react when people disagree with you? Satan’s favorite and best disguise is self. He has 2 others which are whoppers. People and circumstances. Satan uses others to get to you. It is easy to see him use Peter in an attack on the Lord. Jesus had been telling the disciples how He must go to Jerusalem and be crucified, to rise again the third day. Peter spoke up, “Lord, let this thing be far from Thee!” Jesus, recognizing the real author of the suggestion turned to Peter saying, “Get thee behind me Satan!” Satan will use your dearest ones to hinder your life in Christ. An extravagant wife can pester a man to live beyond his means, driving him to the place where he begins to “worry” about bills. That dilutes spirituality fast. Children can get into trouble to the point of causing “anxiety” and “embarrassment”. Well meaning friends can draw you away from a commitment already made to Jesus. The man of God has to watch for satan in those closest to him. Even in death, satan can use a loved one. At funeral time Christians often behave as heathen. They spend huge amounts of money for caskets and flowers, to honor a dead body, while the grand truth of being with Jesus is trampled in the dust. God’s people often carry out a pagan farewell that makes it appear death really is good-bye. They splurge. Money which has been withheld from missions and Christian literature goes into the ground or supports a mausoleum. Watch Christians at funeral time. Do they really act as if physical death was a glorious transition into Jesus’ presence or as if it were the end of everything? What a terrible testimony is presented when God calls a loved one. Yes, satan uses bereavement to make fools of God’s people. Satan has the power to arrange events in his world. He is the author of accidents, floods, famine and disaster. And God uses them all. In fact, our Father weaves the activities of satan into His master plan so that everything works out for good. However, the devil is the sponsor of every destruction in this world. He cannot create, he can only destroy. He can arrange for that Christian, whom wealth would destroy, to make it. He can cause the Christian for whom money would be used to exalt Christ, to stay poor. He can engineer loss for one man and profit for another. Watch and pray is the Lord’s priority in the matter: “Watch and pray that ye enter not into temptation; for the spirit indeed is willing, but the flesh is weak”. (Matthew 26:41) Watching comes before prayer. Once you fall into one of satan’s traps it’s too late for watching. Thus watchfulness is a part of our anti-satan defense system. The anti-satan defense system Just like in home protection the following are useful for preparation for detecting and resisting an intruder: Light; detection; alarm; weapon – these four words give us the basic defense plan. Light: Darkness invites the prowler. The Christian who gives no thought to satan, grants him all the freedom he needs. When we say nothing about him we contribute to the blackout. He has enjoyed obscurity all these years because God’s people have refused to take him seriously. When his person and work become common knowledge and people start watching for him, serious limitations are placed on his operation. 2. Detection: Watch yourself….see the attached list of weaknesses which we all have and pay close attention to the areas that satan uses in your life. Next it’s time to set the trap. You will set up watch over the selected weak areas. And the trap consists of a continuous watch over this area to notice the first attempt of satan to use this area in your life. Since this is new to you don’t expect to catch satan too early in the attack. You could be 5 or even 10 seconds into an attack before you suddenly awaken, “Hey, wait a minute!” That’s all right for beginners. Later on you will be able to react the split-second a planted notion hits your mind. The hardest part of this 4 step resistance is detecting satan. Once you learn how to catch him in the act it is a simple matter to deal with him. You can expect him to do all he can to keep you from penetrating his disguise. The last thing he wants is for you to become skilled in recognizing his role in your life. He knows what can be done in the power of Jesus’ name once he is discovered. Therefore you can understand that learning to focus on your weak areas might not be as easy as it sounds. Satan will do all sorts of things to move your mind from the target area. He can cause distracting interruptions. A difficulty may arise which will shift your mind from the weak area to a problem. If he is successful, your day will scarcely begin before he has you concerned about something other than trapping him. Should God permit it, you could go out of your house to find a flat tire on your car. That might be enough to make you forget satan for a whole day. Here’s a great prayer to help you set your trap first thing in the morning. “Lord Jesus, help me to learn how to detect the devil’s working in my life and to deal with him in Your Name”. Then warn yourself: “satan will be after me today. He’s going to work on that weak spot. The place I have to watch is my mind. He will try to keep my mind on the ___________ problem. So I’m going to my eyes open. I’m asking the Holy Spirit to nudge me the first time an idea pops up in that area.” Then as the day goes on at the first sign on your mind involved in that problem the Holy Spirit nudges and you suddenly remember “satan’s here”. You’ve caught him. See how it works? When you find yourself involved with the weakness and suddenly your mind moves to satan, aware that this is precisely how he works, the trap is sprung. Putting the weakness and satan together is the whole point of this step. If you can bring yourself to think of the devil the moment a weakness strikes you’ve got him. From there on the power of the Holy Spirit makes the task easy. Detecting the devil is the hardest part of our defense system. You might not catch yourself right away when you first start to use this method. More than likely you’ll drift deep into a weakness before it occurs to you, “satan’s doing that.” But that is only because it’s new. The more you work with it, the quicker you will catch on. Every time you detect the devil it will be because the Holy Spirit has nudged you. We can depend on Him for that. That’s His part. We do our best to be satan-conscious, but even with our best efforts we don’t succeed apart from the Holy Spirit’s gentle touch. Sound The Alarm: satan moves in darkness satisfied that his self disguise is working as usual. All of a sudden….”satan!” you call his name. It’s not enough that you have penetrated his disguise, but to hear his name like that is a shock treatment. Step 3 is a shock treatment for satan. Calling out satan’s name is but the first word of our resistance. After that comes your command to him “Go!” Our Lord Jesus set the patter. The Scripture is clear, our Savior met the devil in His wilderness testing and dealt with him. “satan, begone! For it is written “(bible quote)”…. There it is. We can’t expect to improve on something our Lord Jesus used when He dealt with satan. The success of this method is recorded too, “Then the devil left Him.” Matthew 4:10-11. Yes, satan is defeated, praise God. But he is not dead, neither is his strength diluted. He is just as powerful as ever and as deadly. He is just as ready to fight. He has never yet been defeated by a Christian. Satan has not an ounce of fear of any man. He can do almost anything he wants with you and me. We have no strength to match his. For us to challenge satan to a fight would be a joke. Jesus defeated him. He does fear Christ. And he truly dreads the Name of Jesus. He hears the One on whose name we speak, not us. The very sound of our Savior’s name must be awful to satan. When it is spoken to him directly it stabs his memory. Five letters J-E-S-U-S carry him back to the cross where he was openly whipped in his own blunder. What an agonizing reminder that name must be! The name of Jesus is our authority for speaking directly to satan, even as it is our authority for approaching God and making requests. Again and again our Lord through the Scripture tells us what we can do in His name: “Whatsoever you do in word or deed, do all in the Name of the Lord Jesus…” (Col. 3:17) Resisting satan is no exception. I submit that the very mention of Jesus’ Holy Name is a shock for the unholy spirit. The Weapon: “Is not my Word like as a fire, saith the Lord! And like a hammer that breaketh the rock into pieces! (Jer. 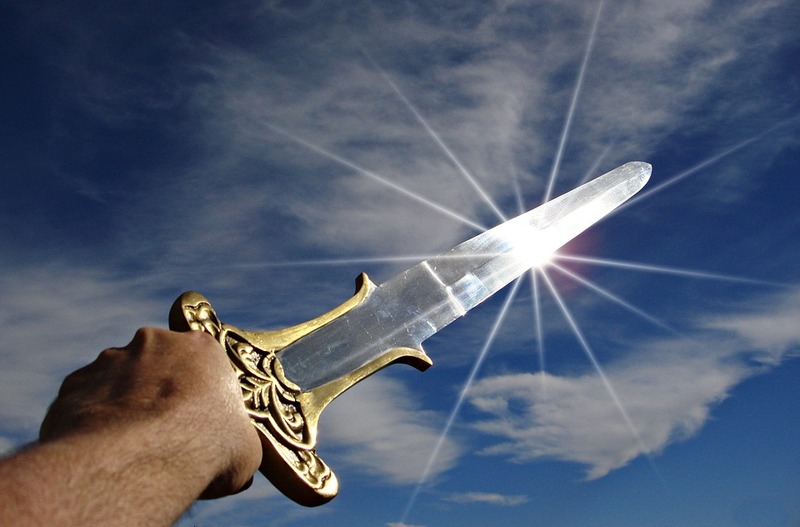 23:29) God’s Word is described as “The Sword of the Spirit” or a weapon. It is the only offensive equipment listed in the armor of Ephesians 6. It is the solitary means for countering satanic suggestion. When an ungodly notion arrives in our minds it amounts to “satan says”. The only counter is what “God says”. 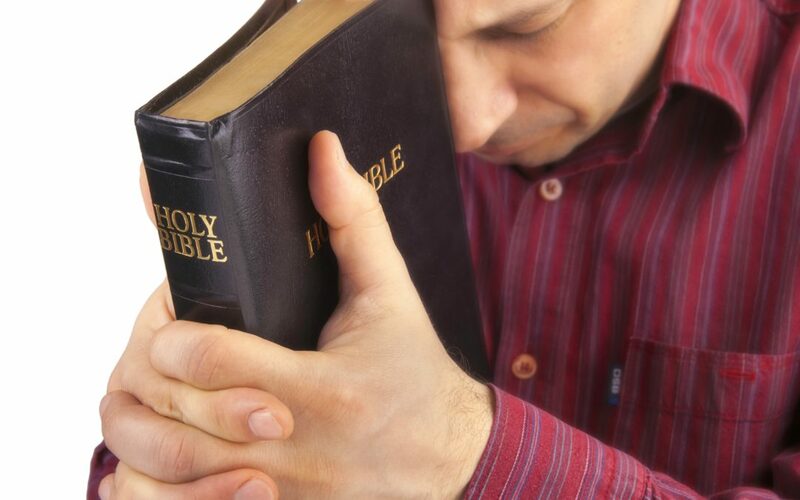 So many of us take comfort in God’s Word and receive instruction from it, we just don’t think of it as a weapon. But we’d better. It’s the only thing we have that is effective against satan. Perhaps this is the first time you have taken a serious look at the bible as an anti-satan cannon. I trust it will be God’s encouragement to take up arms against the enemy. The devil trembles at the Word of God, but it is not due to the fact that millions of them are in print, or when Christians study the bible, or when they quote scripture passages in their gatherings and sermons. Satan knows the bible by heart and can quote chapter upon chapter. He’s so clever with the Word, he can design subtle twists in it for his agents. He enjoys distorting the Word so that it becomes his tool, instead of God’s. That’s fun for him. There’s only one time when satan fears the Word of God…..when it is used against him! When the bible is used as a weapon against satan, he shudders under the impact of it. When a Christian speaks the Word of God to satan, the Holy Spirit moves into action. Something amazing happens which smashes the power of satan and crumbles his spirit. Bible study itself doesn’t make satan flee, though it arms the Christian with the weapon to use. It is God’s Word used as a weapon in the hands of the saints, that is like a flashbulb fired in satan’s eyes. There is pain. And since darkness and light cannot remain together, he must flee. This is the Christian’s strength against the devil, the floodlight of God’s Word shining in satan’s eyes! The thing to notice, though, is that it must be turned toward him to be used as a weapon against him. It has no anti-satan force until the Christian speaks that Word in Jesus’ Name. The next time you have an attack of worry, depression or doubt, try quoting Scripture verses to yourself. Hours later you’ll still be suffering. Why? They are aimed in the wrong direction. Turn them toward the devil, and in Jesus’ Name and the miracle happens. The difference between practicing with a weapon and firing it is obvious. One act amuses the enemy, the other scares him away. If you memorize verses which have to do with your weakness areas, the Holy Spirit can bring them up as soon as satan strikes. That gives you a “fast gun!” It is a thrilling experience to see how quickly satan flees when god’s Word is fired at him. The pressure release comes at once. That’s a different use of God’s Word. You can understand how any weapon is ineffective until used. Here is our basic scheme for resisting satan: Light / insight into satanic operation Detection / watching over a weakness Alarm / Speak to God, then to satan in Jesus’ name Weapon / use God’s Word to counter satan’s suggestion This teaching has provided enough biblical insight for you to take satan seriously. It has outlined a simple defense system for safeguarding your thought-life. This is the real target of satanic attack. You may have to practice a few times before you taste the flight of the devil, but everything needed is here. The flight of satan makes it possible for you to lay hold of God’s word in a wonderful new way. His Word has the power to change you into the likeness of Christ, but that can’t happen until its truth dominates your mind to the same extent as satan’s self-centered suggestions. 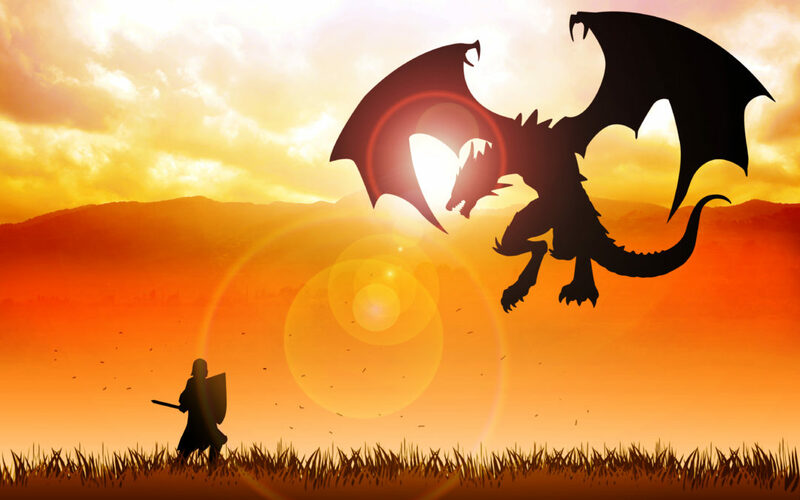 Even though we live in a world of temptation, every attack of satan can be a stepping stone to maturity. Once you experience the way this know-how releases you from satan’s grasp; weaknesses in your life can be eliminated by the miraculous power of God’s Word! After we study this material satan will have a suggestion “I don’t need that. My life is so dedicated to Jesus, satan couldn’t have any real influence. Besides, my whole life evolves around Christ.” Don’t you believe it! Won’t you just take one weakness, one area and work with it? See if you don’t become alert to satan. You’ll find you can catch him in the act. Then don’t be afraid to speak to him in Jesus’ Name. You’ll thrill to the power of God’s Word as it does its work before your eyes. And the Name of Jesus will become more precious than ever. My mighty and strong Creator. Father, Son & Holy Spirit, One. My strong tower and unshakable refuge. I fear You Lord and trust in Your name. I was created for Your glory. 2. El Elyon – God Most High. You are sovereign, ruler of all the universe. Possessor of heaven and earth. Giver of victory. Your purpose will be established. Nothing occurs that falls out of Your control. You have a purpose in everything. Your sovereign power toward me means nothing less than perfect love. 3. El Roi – The God who sees. You are with me always. Your eyes are not shut. What’s more – You know my future. You know my destiny. You know the sins committed against me. You will vindicate me. All will be used for good. I know You, believe You and put my trust in Your name. I seek You Lord. You see my loved ones. You know where they’re at. I can trust that you’ll never leave or forsake them. God Almighty – I trust You. I rest in You. I let You supply my needs. You pour forth blessings, temporal and spiritual. You give me fresh life, nourishment. You are my protector, the unconditional lover of my soul, my comforter. You hold me in your love. You wipe away my tears. You are my rock, my refuge, my very present help in times of trouble. You’re everything I will ever need. My master, owner, Master of all that I am and have. I submit to you! You supply what I need in order to perform Your will. You have the right to expect obedience from me. Your most sacred name – most holy, most glorious, the name you want us to know You by – You are – You have become – You have being and essence in and of Yourself. You have always been. You always are and You will always be. Everything that came into being came from You. This, Your personal name has limitless power. You are who You are. You are everything and anything I will ever need. You are the eternal I am…the Alpha and the Omega – the same yesterday, today and forever. All life is contained in You. I need not look elsewhere. I can rest in Your unchangeableness. You have never failed. You are our covenant keeper – deliverer. You are unchanging, faithful. As I long for someone who will always be there – You are that. You will not change, leave or move. Your love will never grow cold. You will always be here to comfort me. Everything and anything that I ever need will come from You. You provide life Lord! You provide everything that I need. Yeshua is all that I truly need! Yeshua is the provision for my sin, not my own perfection! You see God. You foresee. You know the end from the beginning and thus in Your omniscience, You provide. You are true to Your name. You will provide. You are for us, not against us. In any test I can lay my Isaac on the altar. I can worship You in obedience and know that whatever the need, You will provide it. 8. Yehovah Rapha – The Lord Who Heals. I turn to You to find strength and will to stand fast and keep fighting the good fight. I look to You for help when the enemy comes in like a flood. Deliverance is found in the Lord My Banner. I let my heart thrill at the victory that is mine in You. A banner was an ensign or standard carried at the head of a military grouping. In battle soldiers looked across the confusion and chaos of the battlefield for a glimpse of their king’s banner. As long as they saw it they fought with courage and confidence. You, God Yourself, are our banner. You are our confidence. You are the source of our strength in battle. You are our shining assurance of victory. You are powerful and bring us deliverance. I look to Jehovah Nissi in order to defeat my unyielding enemy, the flesh. The flesh must constantly be put to death. It can’t be tolerated. It can’t be catered to. It can’t be spared in any way. If it is, it will devastate me. Death to the flesh is the battle cry of every child of God. Nothing good dwells in me, that is, in my flesh. I rally at the standard of Yehovah Nissi and I see the tide of the battle turn. I look up! I stand firm. I am strong in the Lord and the strength of His might. I’m not alone in the battlefield. I look to the Lord my banner. Under His banner victory is assured. Apart from it defeat is a certainty. I cannot battle the flesh under my own power. Apart from Him I can do nothing. I abide under the power, the standard, the banner, the ensign of Yehovah Nissi and I can have victory over the flesh, the world and the devil – my enemies and God’s. I go to war and put to death what I need to. Messiah is there with me, interceding on heavenly Zion’s holy mount. Victory is assured under the bright banner of His name. Your names, my God, bring strength to my heart, a lift to my shoulders and a spring to my step. I say them outloud – I worship You – You, God save me, redeem me and set me apart. I belong to You! You sanctify me. The purpose of the Sabbath is that we know that “I am the Lord who sanctifies you.” I do not sanctify myself. You, God make me holy. Sanctification would never come through the law. It would only come through You. I enter into Your name. I enter into Your rest. Salvation comes through resting in You, God. I cannot obtain it through my own efforts. Holiness is the same. I live a holy life in response to what You have already accomplished. You carry me on eagle’s wings. I call upon Your name and enter into Your wonderful rest. Lord I turn to you in distress. I turn to You when I’m troubled. When I go to You God, You hear my cry. You always have a solution. You lift anxiety from my heart. You clear the path. You give me peace. Your name is a strong tower. You are present with me in the midst of darkness and fear. In that place You are the Lord my Peace. In the midst of stresses and challenges You are Peace. True peace can only be found in right relationship with You, God. Peace cannot be based in circumstances and situations of life. I do not let my peace be centered in another person, sunny skies, a full stomach, a balanced checkbook, a healthy body, or a harmonious home. You God are Yehovah Shalom. You Yourself are my peace. When storms sweep over my horizon I run into the shelter of Your name. When I find You I find peace. You are peace. When the odds against me seem overwhelming and the situation I find myself in seems unbearable…when I’m at the very end of my strength, in deep trouble – when I sense defeat and darkness – in times of conflict and warfare Yehovah Sabaoth is the name to call upon. It’s the name that makes the very pillars of the universe tremble. When I’m harassed, powerless and I come to the end of myself and find life’s conflicts unbearable I turn to You, Lord of Hosts. I call upon Your name, Yehovah Tzvaot. This is the name to run to when from my perspective there is no other help. This is the day to shelter in Your name. Yehovah Tzvaot which means mass – mass of heavenly beings – angels – an army of heavenly hosts. You rule over all the angelic hosts. You rule over the armies of heaven. You are Lord over all powers, principalities and rulers in high places. The battle is not mine. It’s Yours! No one can stand against You. The righteous run into the strong tower of Your name and find safety. Rather than believing in myself and trying to make my own way through life I turn to Your precepts God, and with faith in You say I can do all things through You who strengthens me. This is to think biblically, to believe what You say. And what do You say about me, and You? Over and over again You say we are like sheep, weak and helpless, and You are a loving, tender shepherd. Even though I do dumb things, I’m not perfect and I stumble in many ways, I can succeed and prosper because You Lord are my Shepherd. In You I find all that I need. How dumb are sheep? They will literally eat themselves right off a cliff. In such severe situations the shepherd would be forced to break the leg of that sheep and then bind up the injury, carrying, talking and singing to the sheep until it finally healed. Then he would remove the splint and let the sheep go. By that time the sheep would be so accustom to the tenderness, warmth and closeness of the shepherd that he wouldn’t wander away anymore. He would be content to stay at the shepherd’s side. Lord I seek You and I find You’re seeking me. Every single lamb matters to you, the Good Shepherd. What do I do? Where do I turn when I have no hope? Is there hope for hearts given over to sin and rebellion? There is hope. It is in the dark hour of judgment and failure that You, God reveal this name to the hopeless, who see only death. It’s a blazing radiant beacon cutting through the darkness, pointing the way to heaven’s gate. Yehovah Tsidkenu – The Lord Our Righteousness… I can have a new heart. You will put the fear of God into my heart so I will not turn from You. You will give me a new heart and spirit and cause me to walk in Your statutes and observe Your ordinances. A new covenant – a new heart will come because of a righteous Branch named Yehovah Tisdkenu – The Lord Our Righteousness. I can be righteous. It’s all wrapped up in understanding Your name Yehovah Tisdkenu. 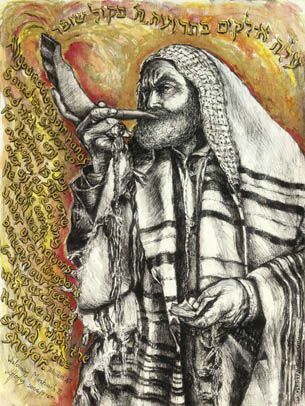 The righteous Branch (Jer. 23:5) who will reign as king and do justice and righteousness is You, God incarnate (God in the flesh) the Messiah, the Lord Yeshua HaMashiach. At Calvary’s cross You made Him who knew no sin to be sin on my behalf, that I might become the righteousness of God in Him. What an exchange! My sin, past, present and future – for Your own measureless, incalculable righteousness and purity. I can only be right with You God, by receiving the righteousness of Yehovah Tsidkenu – The Lord Our Righteousness – Yeshua HaMashiach.. I run into the strong tower of Your name. The shining beauty of Your very righteousness belongs to me. What do I do when I feel alone, abandoned, forgotten – imprisoned in difficult circumstances? How do I keep hope bubbling up like a spring? How do I keep courage burning bright and strong? I obey Your word God, mediate on its precepts, cling to it in faith with all my heart. The more I open my heart and life to the ministry of Your Word and Your Spirit, the more I realize You are there. Wherever I am You, God are there. You are waiting and longing to be my future and my hope. I will not be absorbed by my captivity. I will be absorbed with You! 2 Corinthians 10:3-5 (NLT) 3 We are human, but we don’t wage war as humans do. 4 We use God’s mighty weapons, not worldly weapons, to knock down the strongholds of human reasoning and to destroy false arguments. 5 We destroy every proud obstacle that keeps people from knowing God. We capture their rebellious thoughts and teach them to obey Christ. Strongholds are not demons; they are places from which demons rule. Satan has a place of strength within unbelievers from which he can imprison or hold on to them strongly. They are prisoners. Luke 4:18 tells us that Yeshua came to “proclaim release to the captives.” We participate in the destruction of the “prisons” through prayer. God’s plan is for us to become demolition agents, tearing down satan’s strongholds through a systematic, ongoing, ‘one blow at a time’ war against the enemy’s strongholds in people’s lives. Our intercession may be strategically placing the dynamite of the Spirit for days, weeks or months. But every time we take up our spiritual weapons and use them against the strongholds of the enemy, we are placing our explosive charges in strategic places. Like demolishing buildings, eventually the strongholds will crumble to the ground and people will fall to their knees. There are three major components of the fortress, or prison. These are the things we will begin to call out in prayer and demolish as we pray over individuals. The first aspect of the stronghold is “imaginations/speculations – logismos. This word speaks of human reasonings, wisdom or logic. It’s the sum total of the accumulated wisdom and information learned over time. Our prayers focus the attention of God’s powerful weapons on the logismos fortresses of satan in the minds of unbelievers. Speculations become what one really believes – the person’s mind-set. Other translations refer to them as “theories.” The word logismos includes philosophies (conscious or unconscious), religions, humanism, atheism, Judaism, materialism, roots of rejection, perversions, alcoholism, other addictions and anything that causes a person to think a certain way. Logismos blind individuals and veil truth because when people hear the gospel, before they even have time to think or reason about what they’re hearing, it’s filtered through the subconscious or memory where all other information is stored. This means that unbelievers don’t hear only what we’re saying. They hear what we are saying plus what they already believe. What they hear is filtered through a belief system – a veil that causes them to hear something totally different than what we may be communicating to them. They simply do not see the same image of Messiah that we do. To clearly see Him is to love and want him. We need to pray for people and ask the Holy Spirit to remove the veils and tear down the logismos, allowing them to see clearly. Perhaps you already know what these logismoi are in the people you are praying for. If not, ask the Holy Spirit to reveal them to you. When He does, call them by name, quoting 2 Cor. 10:3-5 saying, “In the name of the Lord, Messiah, Yeshua I am destroying you, stronghold of….” Do this regularly until those people come to Messiah. High or lofty thing is the Greek word ὕψωμα hýpsōma, hoop’-so-mah; from G5312; an elevated place or thing, i.e. (abstractly) altitude, or (by implication) a barrier (figuratively):—height, high thing. By disobeying God, humankind, like satan, exalted themselves to a place of equality with the Most High. We became however, not the Most High but our own most high, filled with pride. This word encompasses all mind-sets that exalt themselves against the knowledge of God and involve a desire to rule our own lives, decide for ourselves right and wrong and basically be our own god. The good news is that we can also tear down this stronghold in people through prayer so they can humble themselves and bow their knees to Messiah. A strategy is to begin praising the Lord that people are going to become a brother or sister in the Lord to us. Stop begging God but continue to thank Him for the work He will do the people’s lives we are praying for. Pride is a desire to rebel against authority and rule our own lives. We need to tear this down and demolish this through intercession. 2 Cor. 10:3-5 (TLB) It is true that I am an ordinary, weak human being, but I don’t use human plans and methods to win my battles. 4 I use God’s mighty weapons, not those made by men, to knock down the devil’s strongholds. 5 These weapons can break down every proud argument against God and every wall that can be built to keep men from finding him. With these weapons I can capture rebels and bring them back to God and change them into men whose hearts’ desire is obedience to Christ. The word “thought” is noema, which also means plans, schemes, devices or plots. It refers to the spontaneous thoughts and temptations satan uses to assault the unbelievers, as well as the schemes and plans he uses to keep them in darkness. In prayer we must declare boldly that no weapon of satan’s will prosper. We must bind his plans and stand against them through prayer. We can and should pray that the unbeliever be shielded from satan’s thoughts and temptations. We can turn unbelievers “from darkness to light and from the dominion of satan to God.” (Acts 26:18) We are called to enforce and make effectual the freedom Messiah procured. The unbeliever cannot war for himself. He cannot and will not overcome the strongholds of darkness, or understand the gospel until the veil lifts. Remember it is the Lord who is great and awesome and who fights for those we pray for.